Fashion Maven... Mommy: Peace Out Redness! The thing i love most about the latest IT Cosmetics' launches is how they target a number of problem areas! For instance, while i don't suffer from rosacea, i do have quite a bit of hyperpigmentation on my skin. IT products have always been my go-to to even out my skin and conceal some of those areas of redness. However, the IT team has taken things to the next level by creating a product to treat and combat redness! Bye Bye Redness Skin Relief Treatment Moisturizer helps neutralize and soothe the look of redness while providing deep hydration, and is gentle enough for even the most sensitive and dry skin. You can use this day and night. This product also sooths the look of lines and wrinkles, and is infused with anti-aging properties. What i love about this product is that you'll see immediate results with just one use, however, if you continuously use this product daily, you'll notice more transformative results over time. Well done IT Cosmetics! 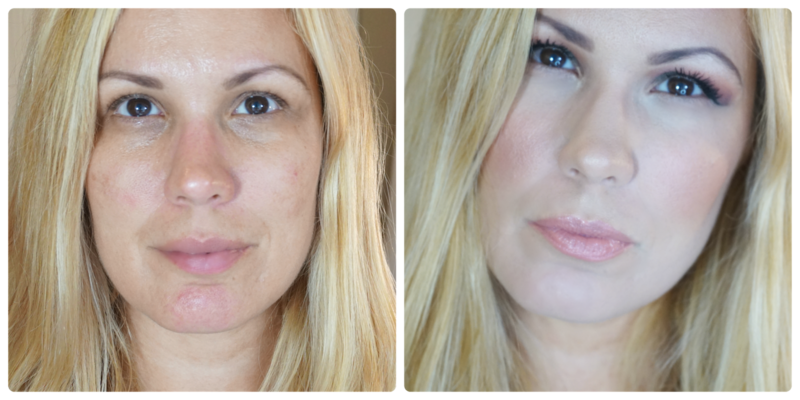 Bye Bye Redness Neutralizing Correcting Cream is your ticket to a flawless complexion! This color-infused product calms skin and cancels redness. It's super buildable and incredibly hydrating. It won't crease or crack so no worries! I love wearing this because i know that while it's camouflaging the hyperpigmentation in my skin, it is also treating it! In fact, this is one of the biggest reasons i reach for IT products the most! Every time you use their makeup, you can rest assured that you're not just covering your skin, but you're infusing it with anti-aging and nourishing ingredients! Love that! Bye Bye Redness - Redness Erasing Correcting Powder has been a product I'm truly enjoying lately! This talc-free powder is perfect for the most sensitive skin! It delivers buildable, tone-correcting full coverage that won't settle into lines and pores. It's wonderful at covering redness and evening out your skin tone. It creates the most beautiful, almost airbrushed canvas! Trust me when i tell you, you will do a double take when you walk past a mirror! It's that good! You look SO gorgeous! I keep hearing amazing things about this brand. It was just released at Sephora in Canada, so I really want to check it out. You're so sweet! YES they're in Canada now!!!!! You have to check them out, their products are incredible!!! i'm loving the moisturizer and powder!!!! i have not met an it powder i didn't love! I couldn't agree more! Their powders are insanely good!